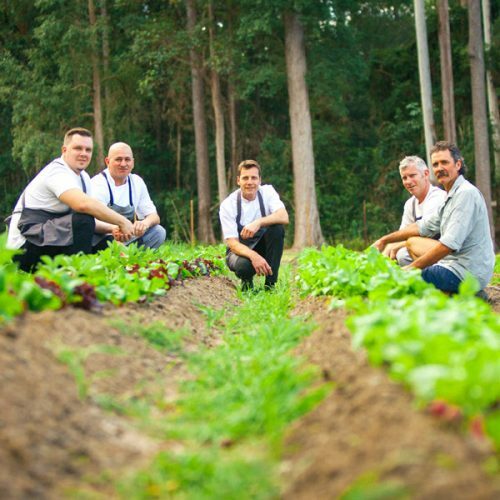 Maravista Farm is a culinary garden of organic, locally grown produce for the Ogilvie Group venues which include Rickys, Locale Noosa, Wood Fire Grill and aromas noosa. 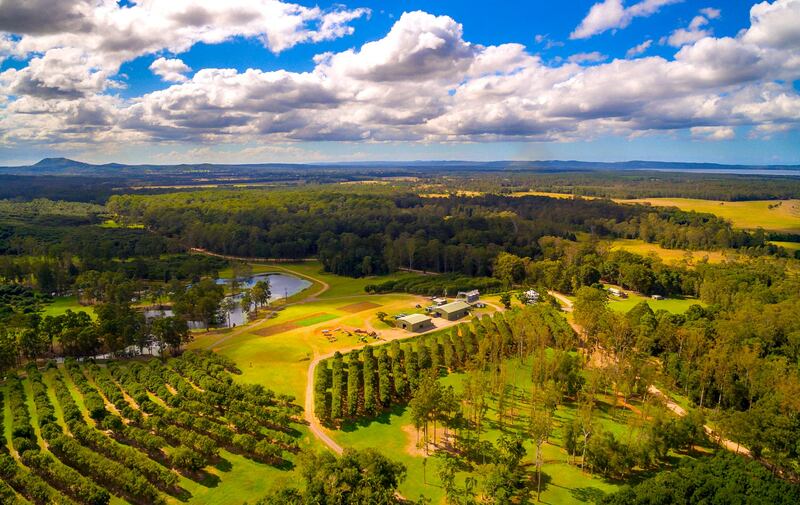 A stunning 250 hectare working macadamia farm in the Noosa Hinterland (Queensland, Australia), the property boasts beautiful fertile land, rolling hills, more than 20,000 macadamia trees, vegetable, citrus, micro herb and honey production. Three vegetable plots are currently in production as well as macadamia and a substantial citrus grove with over 60 fruiting trees. Maravista Farm’s newest residents are a small herd of Ultra Black cattle that enjoy life on the farm. The Ogilvie Group of restaurants consists of some of Noosa’s most iconic venues. Maravista Farm enables the Ogilvie Group restaurants to access the freshest possible local produce as well as food in different stages of the growth cycle. Normally rare and difficult-to-source ingredients are made a reality for the restaurant Chefs allowing them to focus on creativity. Maravista Farm creates an opportunity for us to research and refine our ability to locally source ingredients and enable our chefs to create fresh, uniqe and quality dining experiences. Starting its life as a selection and timber cutting venture in the late 1860s, Maravista Farm has evolved through many names (Lake View, Eurobin, Maravista) and uses over the years, from logging through to banana, bean and beef farming. Early macadamia farming commenced in the 1930s but it wasn’t until 1983 that macadamia production was seriously developed. It was during this period that much farm infrastructure and planting was conducted. Maravista Farm now produces over 200 tonnes of macadamia nuts, most of which are exported. As healthy soil is our priority, no chemical inputs such as herbicides, pesticides, fungicides or fertilizers are used on the culinary garden or citrus grove and the soil is developed using compost made from the vegetable waste and coffee grinds from the Ogilvie Group restaurants completing the circle from pasture to plate.